Discussion in 'Lexus Lounge' started by Tragic Bronson, May 22, 2018. 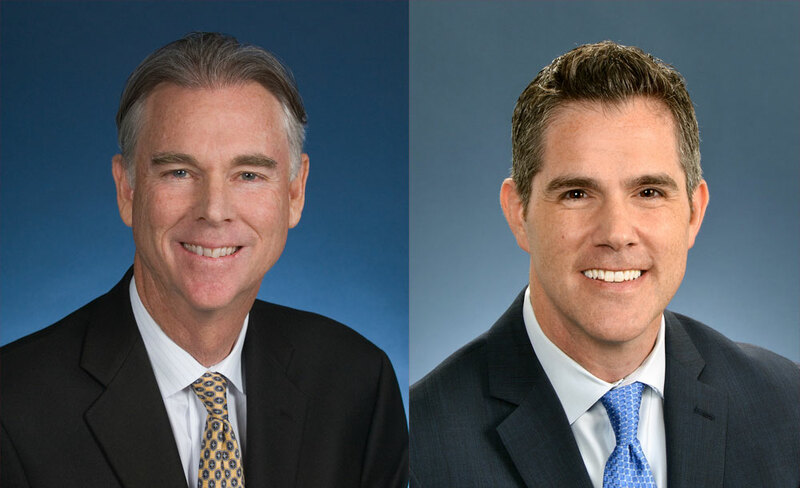 Jeff Bracken, who has led Lexus' U.S. operations since 2013, is retiring after 40 years with Toyota, and will be succeeded by David Christ, Lexus' vice president of sales operations. Bracken will remain with Lexus as an executive adviser until Aug. 1. Christ joined Toyota in 1994 and has held several positions at regional sales offices for Toyota Motor Sales, as well as positions in distribution, customer retention and financial services. He was vice president of sales and dealership development at Toyota Division until the beginning of this year, when he traded jobs with his Lexus counterpart, Andrew Gilleland, and became a top deputy to Bracken. Christ: Taking reins at Lexus in U.S. In his new role as vice president and general manager, Christ will oversee all of Lexus' U.S. automotive operations, including sales, marketing, customer service and dealer operations, reporting to Bill Fay, senior vice president of automotive operations. Among his big challenges will be the launch of the UX subcompact crossover, arriving later this year. Lexus sees the vehicle as critical to attracting younger buyers to the brand in the face of competition from lower-priced entry-level vehicles from German brands. Bracken, who joined Toyota in 1978, spent much of his career in California and the Western region. He was among the thousands of Toyota employees who relocated from Southern California to Texas as part of a massive headquarters move and reorganization of Toyota Motor North America, announced in 2014. During his tenure at Lexus, the luxury brand worked to introduce bolder, more performance-oriented styling to its vehicles, including models such as the LC sport coupe and the LS premium luxury sedan. Bracken also brought the brand back to racing with the RC-F GT3 and launched Lexus Plus, a dealer-driven alternative to retailing, Toyota said in a statement. Dejuan Ross will replace Christ as vice president of sales operations at Lexus. Ross joined Toyota in 1995. He will be leaving his role as general manager of Toyota's Chicago Region. Jeff Bracken retires, David Christ is promoted. Very surprising Lexus doesn't have it's own homegrown talent that was never touched by Toyota. Nooooo. We loved Jeff Bracken. This is sad news indeed. I hope this new guy will be a worthy successor not just for Jeff, but for Lexus as well. It's just not in the culture at Toyota -- people tend to move between the companies at least a couple times in their careers. Jeff is a real nice guy. I admire how the promote and cultivate internally. Many make the jump from Toyota to Lexus and they have done a tremendous job. DALLAS — Lexus is caught in the vortex of changing consumer tastes, vehicle electrification and intensifying competition for market share, but its new U.S. general manager keeps grounded in the brand's founding principle: Treat the customer like a guest in your home. "The brand was built on focusing on the guest experience," said David Christ (pronounced "Crist"), the Toyota veteran who succeeded Jeff Bracken last month. "And that's something that isn't going to change with me. "Regarding the Germans," he said, "we're more focused on maximizing the opportunities we have than comparing ourselves. "Of course, nobody wants to be second or third." So Lexus isn't standing still either. Like its competitors, it's adding crowd-pleasing crossovers and taking a hard look at its car business, which has lagged in recent years. "Our product plan is what I would call a work in progress," Christ told Automotive News last week. "The brand was built on focusing on the guest experience. And that's something that isn't going to change with me." The redesigned ES sedan and the coming UX crossover are critical pieces of that work. The ES, descendant of one of Lexus' earliest models, has long been the sleeper hit of the Lexus family, popular but nondescript, with a front-wheel-drive platform shared with the Toyota Camry. The redesigned model is a fitting metaphor for the aspirations of the brand as a whole. It's new from top to bottom, with sharper creases and a more confident stance. The six-cylinder engine has more power, the automatic transmission has two more gears, and the suspension sits on a new global platform. But the 2019 ES will cost about the same as the outgoing model, at just under $40,000 for the base, making it a value relative to German competitors. It's likely to please current Lexus owners, Christ said, but more importantly, it's expected to draw a different crowd to the brand. About a quarter of sales for the ES are expected to come from the F Sport model, the sportier trim that is being offered on the big sedan for the first time. That package is aimed at younger males, whom Lexus needs as future brand loyalists. The Lexus rumor mill suggests the ES later will get all-wheel drive and perhaps replace the GS, though Christ wouldn't comment on that. Stephanie Brinley, principal auto analyst at IHS Markit, thinks the ES is a good example of Lexus finding its new styling "voice." It's more coherent and exciting in her eyes than the UX, which she finds "a little crazy" and "awkward." But Lexus will need the UX to deliver those young customers, too. Its competitors have been able to move aggressively into crossover niches and entry models to lure younger buyers, partially because they don't have to worry about cannibalizing sales of a sister brand, as Lexus does with Toyota. Take small crossovers. BMW alone has four vehicles in the premium compact crossover segment: the X1, X2, X3 and X4. Lexus has one, the NX, which led the segment last year, with the UX due in December. The UX replaces the slow-selling CT Hybrid hatchback as Lexus' primary entry vehicle. Pricing will be key since German competitors have been scooping up volume on the low end of the market with vehicles that start in the low $30,000s. Lexus executives have said the brand won't go below a $30,000 sticker, where it might bump up against the larger Toyota RAV4. Christ said Lexus hasn't set a sales target yet for the UX. It's also still working on a subscription model for the vehicle, a first for the brand. On the other end of the crossover spectrum, Lexus this year finally delivered a long-promised three-row version of the RX. Brinley thinks the RX L may be a placeholder until Lexus can deliver a new three-row crossover that is less of a compromise. At the Detroit auto show, the brand showed the LF-1 Limitless concept, which is more of a full-size vehicle. Christ, like predecessor Bracken, is a big fan. "Obviously, the LF-1 Limitless has been really well-received in the media, with our dealers, with our customers, with a lot of social media traffic, so that's a vehicle we're looking at closely and considering." Christ was emphatic about Lexus' commitment to sedans and predicted that the 2019 ES would sell about 50,000 a year, which would put it at the top of the segment. "There are still a lot of luxury cars being sold," he said, "and we're not going to abandon that market." But he said Lexus is taking a strategic look at the IS and GS. Both are late in their life cycles, with thin volume, and Lexus hasn't announced plans to update them. "We can't do it all at once, but we're certainly evaluating both vehicles," he said.